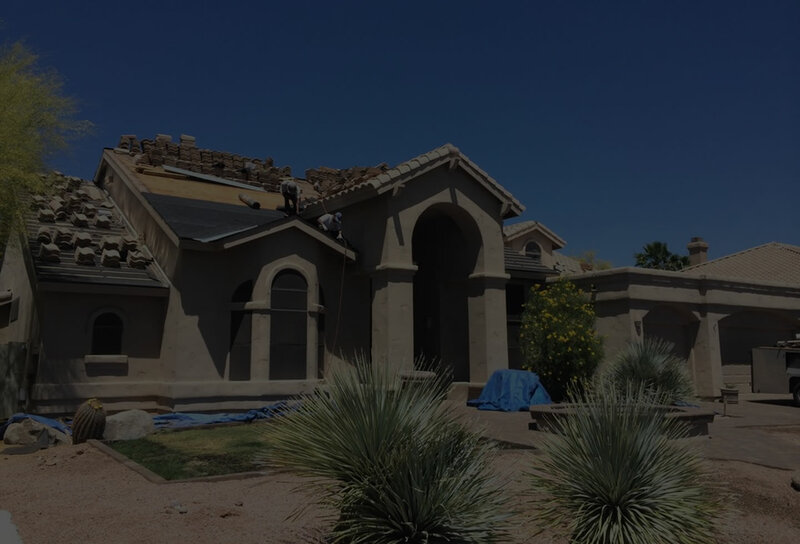 BCS Contracting Services is based in Scottsdale, Arizona, and offers a full range of exterior remodeling services for the Phoenix metropolitan area. We have many completed residential and small commercial projects under our belts as a local roofing and painting contractor. We are a small to mid-size contractor that provides a full line of roof systems such as shingle roofs, tile roofs, foam roofs, flat asphalt roofs, walk decks and roof coatings. In addition to the roofing services, we repair and replace fascia boards, provide exterior painting services, build new patios and repair existing patios. We only use top notch products from manufacturers such as Malarkey, GAF, Owings Corning, Dunn and Edward and Shermin Williams. Our process is simple, schedule an estimate, provided and detailed proposal, schedule a start date, show up on time and complete the work with the highest workmanship standards. The Roofing Process can sometimes be complicated, but we pay attention to the small details to ensure you get a high quality roof installation and have a positive experience. Most roofing contractors have access to the same materials like tile and shingles, roof underlayments, roof coatings and asphalt roofing systems. 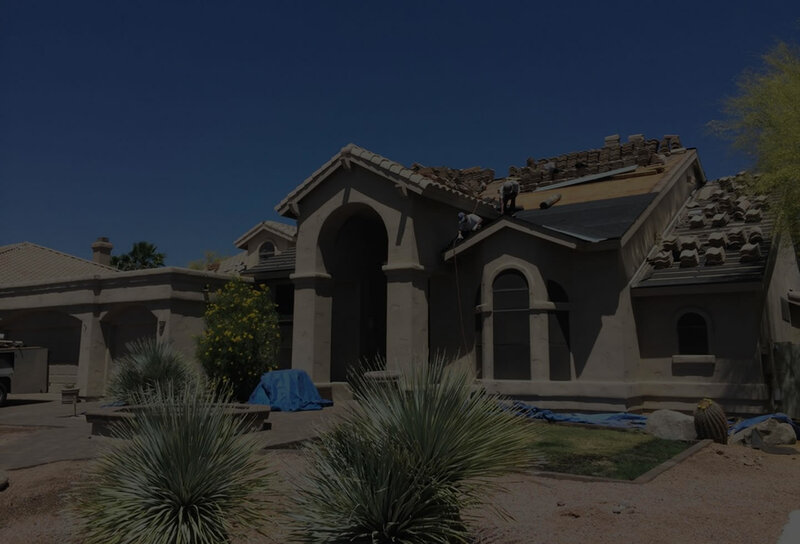 But not all roofing contractors have the same operational process for scheduling and managing the job and performing all the detail to get a high quality roof installation. This is where we are different. We make sure that all work and schedules are communicated clearly and workmanship details are not overlooked. AZ Walk decks are great when they aren't leaking. We are a walk deck replacement company, specializing in rebuilding these surfaces with new wood sheathing and custom flashings. We use a 100% acrylic walk deck system which offers a more flexible and maintainable system over time. Most homes in Arizona have a patio. And like most homeowner’s, we enjoy our patios when the weather is nice. Unfortunately, patios have a higher maintenance level than the rest of house. 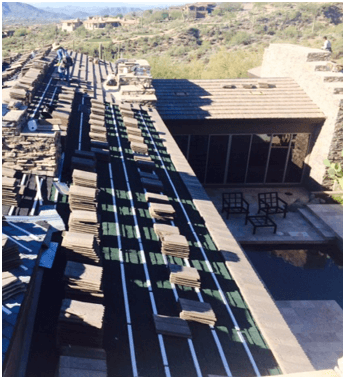 Some of the reasons is because they have low slope roofs which wear out faster than the pitched roofs and most of the water drains off them when it rains causing more wear and tear. Another reason is because they have incorrect metal edging which causes the patio roof to separate and leak down the fascia causing it rot. Sometimes they are just built incorrectly or you may want to extend the patio or change the design. Whatever your reason may be, we can handle it. The great thing about working with BCS Contracting is one stop shop for the wood work, roofing and painting. So, if you need any of the following don’t hesitate to call us.